Marks & Spencer shares have see-sawed this morning after the bellwether retailer posted a rise in sales and profits but surprised investors with a warning about the growth of its previously stellar food business. The company also announced that finance chief Helen Weir would be stepping down to pursue a "plural" career of non-executive appointments in the latest management reshuffle for the retailer since Steve Rowe took the helm last year. 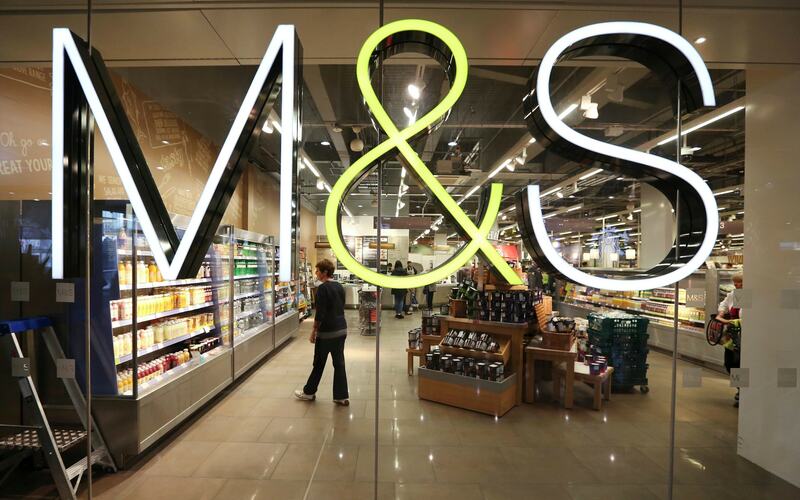 M&S recorded a jump in pre-tax profits from ?25.1m to ?118.3m in the six months to September 30, helped by the absence of one-off costs it incurred the year before, such as ?154m in pension scheme costs. The retailer posted a 2.6pc lift in group sales to ?5.1bn, helped by new store openings. Mr Rowe said the results reflected the company's "good progress in remedying the immediate and burning issues at M&S I outlined last year". The M&S boss said that the performance in the group's struggling clothing and home business was "encouraging". The division recorded a 5.3pc lift in full-price sales with like-for-like sales down by 0.7pc - a much better performance than last year when the retailer's clothing sales plunged by 5.9pc. 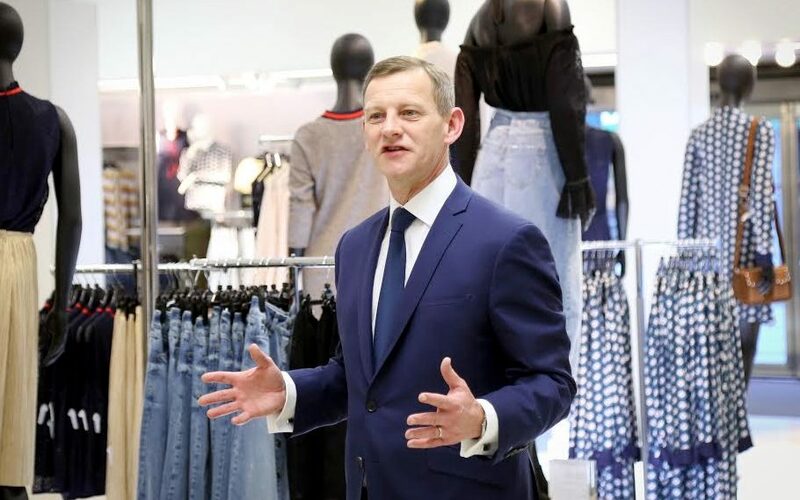 Since Mr Rowe took over at M&S he has made fixing its long-struggling womenswear division a priority by reining in its attempt to attract younger shoppers and stripping out promotions to wean it off discounting. The M&S boss said that the division would now be "focusing on families". Mr Rowe added that M&S would accelerate its transformation plan, including cutting space dedicated to clothing and reducing costs. M&S had previously indicated that it would close 30 of its larger shops but the retail boss said that this would be the "minimum" and the business would "go faster" in shuttering stores. However M&S has surprised the City by announcing that it would "slow" its Simply Food store opening plan after revealing a 0.1pc fall in like-for-like sales, despite a boost from inflation. The retailer said that its food margins had fallen by 130 basis points due to higher costs from increased commodity prices and a weaker pound. "In this uncertain environment it wouldn't be wise to open a significant pipeline of new stores," Ms Weir said of the shift in strategy. M&S previously planned to convert 45 of its larger shops into Simply Food stores and open 34 new shops. "The food business has been keeping M&S afloat in recent years, but now progress seems to be flagging here, the clothing division needs to start pulling its own weight," commented Laith Khalaf, senior analyst at Hargreaves Lansdown. Having risen nearly 2pc in early trade, M&S shares slumped, before settling broadly unchanged by mid-morning, at around 327p. Ms Weir, who left John Lewis to take up the role of CFO in 2015, will stay in post until a successor is found, M&S said, with a search for her replacement already under way. Ms Weir follows hot on the heels the retailer’s director of clothing, Jo Jenkins, who announced she was leaving to become chief executive of fashion firm White Stuff two weeks ago. Jill McDonald recently joined to head up the group's clothing and home division from Halfords, a month after turnaround guru Archie Norman arrived as chairman. Chief executive M&S | Who is Steve Rowe? Mr Rowe said that he and Mr Norman had a good working relationship. "We are two retailers from different sides of the same coin," he insisted. Tony Shiret, analyst at Whitman Howard, said: "We believe that new chair Archie Norman’s appointment is bound to have upped the pressure on Steve Rowe both to produce within the framework of his existing strategy and to address further potential changes."